Inspired by traditional Asian design, our Emperor Series offers wonderful sound and is intended to reflect balance, harmony, grace and beauty. Chinese instrument makers have made gongs for thousands of years and are deserving of their reputation of making the best in the world. Many processes go into creating the special sound of a Chinese Gong, including fine toning as a result of hand-hammering. In Buddhism, the gong is sounded at the start and end of each day. In Chinese temples, gongs are struck 108 times because it's believed that sentient beings have 108 types of worries. The teaching is this - upon hearing the gong, worries will cease, wisdom will grow. Nothing has the ability to transport us to another time and place quite like the brilliant resonance of a gong. For over a thousand years, gongs of various types have played an important role in both the religious and secular music of many Asian cultures. Gongs were sounded to chase away evil spirits, warn of invading armies, heal the sick and invoke the spirits of the dead. To be touched by a gong was said to bring happiness and strength. Today, this revered instrument of warriors, emperors, princes and priests adds a special aura to any setting. 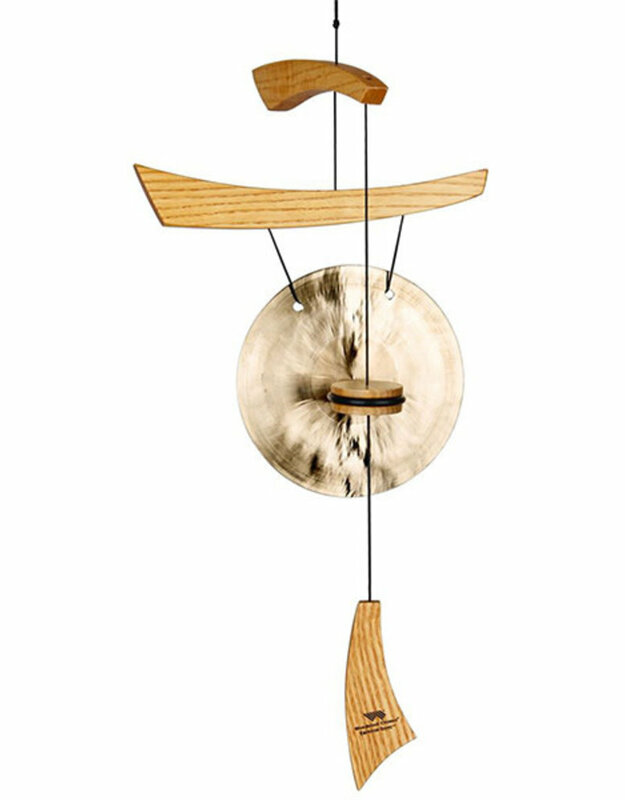 Handcrafted using traditional methods, Woodstock Gongs bring the ancient wonders of the Far East home. 23 in. Overall length. 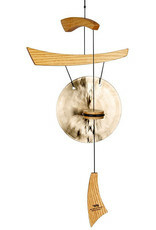 Cherry finish ash wood with hand-hammered brass gong.